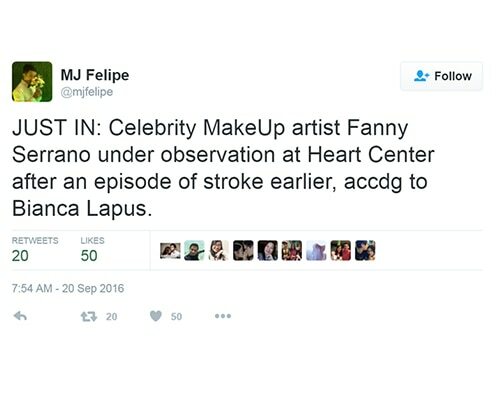 ABS-CBN News reporter MJ Felipe confirmed through his Twitter account that makeup guru Fanny Serrano has suffered a stroke and is currently under observation at the Philippine Heart Center in Quezon City. 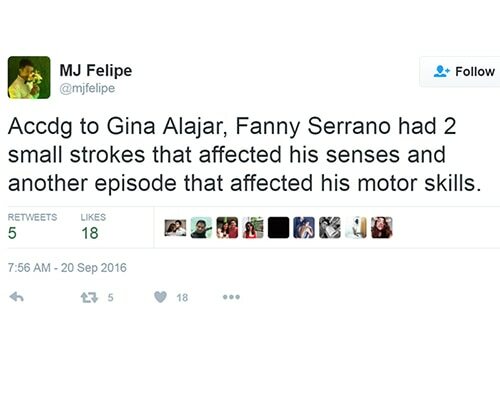 Also, according to actress Gina Alajar, Fanny suffered from two small strokes which affected his motor skills and senses. 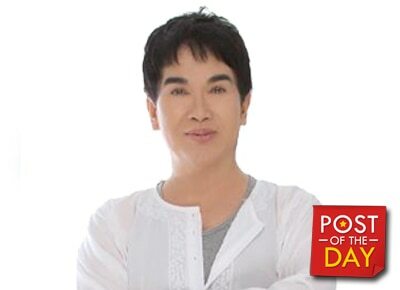 Fanny is known for being the makeup artist of the most respected names in the industry including Sharon Cuneta, Cherie Gil and Lorna Tolentino.